David Draper. Photo by R. Jones. Three professors at the University of California, Santa Cruz, have been awarded the distinction of AAAS Fellow by the American Association for the Advancement of Science, the association announced this week. They are David Draper, professor of applied mathematics and statistics in the Jack Baskin School of Engineering; Thorne Lay, distinguished professor of Earth and planetary sciences; and Glenn Millhauser, professor of chemistry and biochemistry. Draper was recognized "for distinguished contributions to Bayesian statistics, including the development of fundamental methodology, applications to health-care, and service to the profession." Draper employs Bayesian methods to address problems such as how to use electronic medical records to improve health care, how to assess the quality of hospitals and schools, and how to evaluate the risks of nuclear waste disposal. A fellow of the American Statistical Association, the Institute of Mathematical Statistics, and the Royal Statistical Society, he was the founding chair of the Applied Mathematics and Statistics Department and served as president of the International Society for Bayesian Analysis. 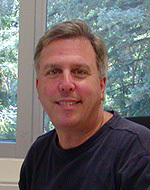 He received a UCSC Excellence in Teaching Award in 2007. Lay was honored "for sustained research using earthquakes to probe the deep structure of the Earth and for service to the global seismology community." Lay is known for his contributions to the understanding of earthquake rupture processes, the use of seismic waves to probe rock layering and properties of the deep Earth, and the development of seismological methods for monitoring the Comprehensive Nuclear Test Ban Treaty. His extensive service on national and international committees includes terms as chair of the board of directors of the Incorporated Research Institutions for Seismology and chair of the National Research Council's Committee on Seismology. At UCSC, Lay has served as founding director of the UCSC branch of the Institute of Geophysics and Planetary Physics (IGPP), director of the Institute of Tectonics, and chair of the Department of Earth and Planetary Sciences. 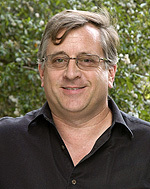 He currently directs the Center for the Study of Imaging and Dynamics of the Earth, part of the IGPP. Millhauser was recognized "for distinguished contributions to the field of biophysical chemistry, polymer folding, prion protein function and melanocortin signaling." 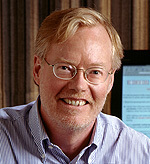 He studies diseases caused by abnormal proteins, using sophisticated techniques such as magnetic resonance spectroscopy to investigate the structures and functions of protein molecules. Much of his recent research has focused on the prion protein, which causes mad cow disease and the related human affliction, Creutzfeldt-Jakob disease. (Millhauser and Draper collaborated on a recent investigation of a rare inherited form of Creutzfeldt-Jakob disease.) Millhauser has also made important contributions to the understanding of a molecular signaling system known as the melanocortin pathway, which appears to be involved in diseases related to energy balance, including diabetes, obesity, and anorexia. Election as a fellow is an honor bestowed upon AAAS members by their peers. This year, 531 members have been awarded this honor by AAAS because of their scientifically or socially distinguished efforts to advance science or its applications. New fellows will be honored at the AAAS Fellows Forum on Saturday, February 20, during the 2010 AAAS Annual Meeting in San Diego. The tradition of AAAS Fellows began in 1874. AAAS is the world's largest general scientific society and publisher of the journal Science. AAAS was founded in 1848 and includes some 262 affiliated societies and academies of science, serving 10 million individuals. Science has the largest paid circulation of any peer-reviewed general science journal in the world, with an estimated total readership of 1 million. The non-profit AAAS is open to all and fulfills its mission to "advance science and serve society" through initiatives in science policy, international programs, science education, and more.